The boys are both enrolled in three or four separate summer reading programs: two through various local libraries and two through local businesses. Aside from plastic fish, the kids have earned coupons to IHOP and $5 dollar gift certificates to Half-Price Books. 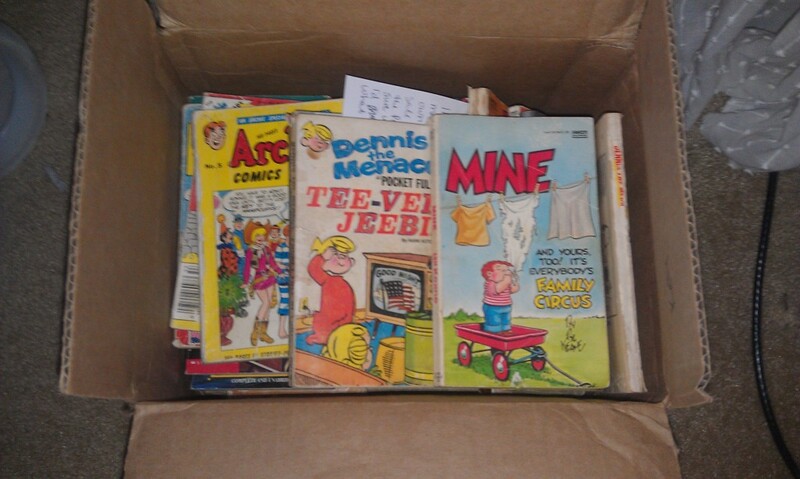 My friend Kelly sent this terrific package full of soon-to-be reviewed Thrift Store Finds and R.L. Stine books. You’re the best! A couple of new comics about my kids before I go into pre-school hibernation. I go back to my classroom VERY early compared with most other schools. I’ll be back in the swing of things before the end of August. I know, I know. You might recognize the bin of toys from this comic a few weeks ago. …and you WILL recognize the theme song to Animaniacs. Or art least, you should. One of the best cartoons of the 1990’s, I’ve shown the boys a couple of episodes of the show and it’s safe to say they are obsessed. That’s fair enough, because I was obsessed with Animaniacs when I was a kid. The show’s mix of satire and classic Warner Brothers gags completely won me over. To be fair, there were a couple of less enjoyable segments in the show (I’m still not a Hip-Hippos fan) but SO many good ones. For almost my entire life, my family’s been vacationing down at the New Jersey shore. We mainly encamped around the Point Pleasant/Seaside Heights/Lavalette area until a few years ago, when MTV started filming Jersey Shore in the same areas. Suddenly, the prices on hotel rooms, restaurants, and boardwalk fun tripled thanks to the show and it’s fans. We moved our vacations to Long Beach Island three years ago and haven’t looked back. LBI is a little more laid back than our previous tourist spots, but with a two and four year old in tow, laid back is kind of what we’re looking for. 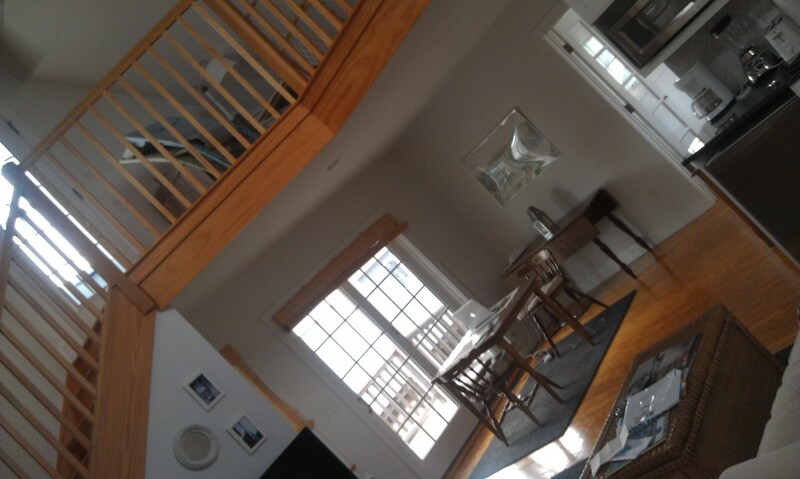 The house we rented for the week was pretty fantastic and also a weird commentary on the nature of LBI. It was, essentially, two houses- an older style main house with a full kitchen and dining room… and then a more modern styled apartment/loft area above the garage. The two areas were connected by a bridge/hallway which both Elliot and Henry had good times running up and down, over and over again. Spent a lot of time on the beach… and a lot of time at the island’s arcade. 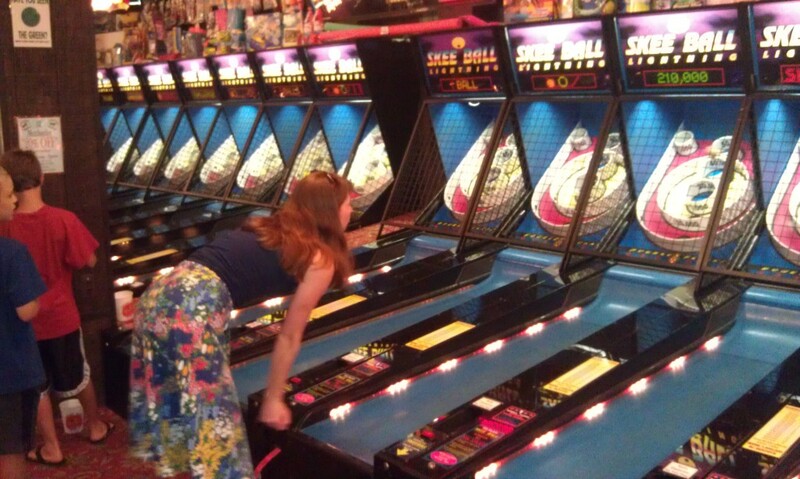 No summer trip to New Jersey is complete without some skeeball! 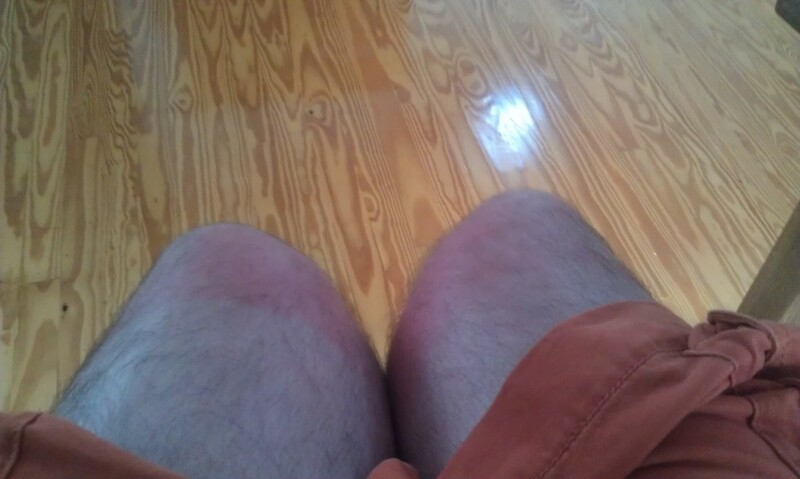 The only annoying thing about the trip was this strange sunburn I got on my kneecaps… and nowhere else. Those of you who have been trolling this site, waiting for pictures of my bare kneecaps can die happy. Final picture for now- I was excited to find the island’s pharmacy carried a small selection of magazines and comic books… but I mean, it was a SMALL offering. 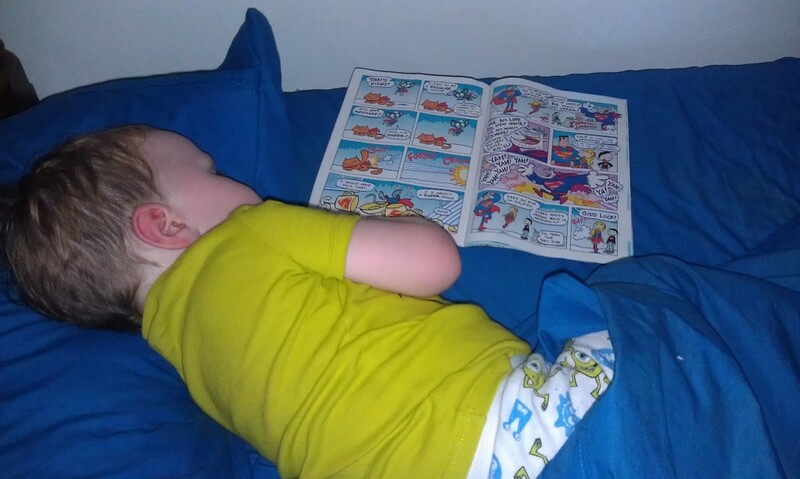 I immediately snapped up Superman Family Adventures for Henry- he liked the first issue and loved this one even more. 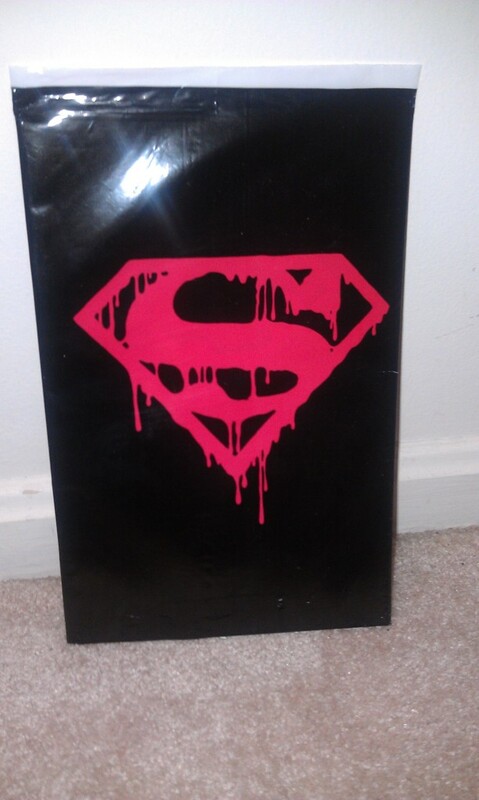 It’s all about Bizarro! I expect updates to resume next week. Hope everyone’s enjoying summer! Sorry for the lack of posting in the past week. We’re on our yearly family vacation right now. Comics will resume sometime in the next two weeks. Until then, you can find me on Tumblr, or I started a fancy-pants Instagram account, where I add hip looking filters to pictures of me drinking Jamba Juice. My username is capearce81. You are currently browsing the Teachable Moments blog archives for July, 2012.